Danny Casolaro was a freelance journalist who told his friends and family that he was close to cracking a story he called The Octopus, which he referred to as the political conspiracy of the century. In August of 1991 he packed his notes and headed to West Virginia to conduct some final interviews for his forthcoming book. On August 10, 1991, he was found dead in his hotel room. The death was immediately ruled a suicide. Join us this week on The Corbett Report as we go in search of the story behind the story of the mysterious death of Danny Casolaro. They really weren’t very thrilled when the report mentioned that the embalming of Casolaro’s body violated state laws. That portion was, needless to say, removed from the final draft. Mike Best is doing great work on these old cases. — His source had to be an insider leading him on, and once the source figured Casolaro was getting to close to the truth or risk exposing key people, his source then turned on him and suicided him in the hotel room. — Also, it appears Casolaro was no spring chicken, he must have been a member of one of the intelligence agencies, given that some individual in full military dress just so happen to place a medal on his casket as it’s being lowered. Moral of this story, the good guys that you trust, that feed you legit info over the years, may actually turn out to be the bad guy. Either that, or someone impersonated one of the sources and set up the encounter at the hotel. FYI: The other YouTube CorbettReport faker impostor doppleganger channel added 3 new videos 3 days ago after 10 months of nothin. I don’t know what that means. I’m still downloading this video (and the other 3) to watch. I’ll return if I have a comment. It’s terrible that people get suicided, but I love this series. Is that sarcasm? Satire is no laughing matter – or is it? Well, the person maintaining that channel reposts videos with credits, the select few I have checked. Have I missed something ridiculously obvious? No. I thought I missed something. Trying to hear satire through a monitor screen can make you feel deaf and dumb. Sometimes you’re listening in all the wrong places. Sometimes the tree falls on your head. 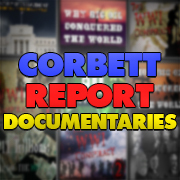 I had downloaded the faux Corbett Report videos and didn’t recall anything untoward but understand there is potential, not being who they claim to be. Also, I thought it odd there was a 10 month gap and then 3 mysterious videos in a fembot voice. Could be ominous or benign. Or another manufactured puzzle-hole like pizzagate, Seth Rich, or Defango-Webb. This jerk is deceptively using the CorbettReport name for his own agenda. The “About” is a copy-n-paste from James’s YouTube Channel. This person does not make it abundantly clear who the real James Corbett is. It is deception, the antithesis of revealing the truth. The real James Corbett has often said that people can use his videos and articles to spread around. The intent is to help raise the public awareness. This jerk has polluted intentions. Never lend this guy any money nor let him babysit the kids. He sells ocean property in Kansas. If this guy had clean intentions, at a minimum he would direct people to the real James Corbett. The antithesis to revealing the truth about his identity, but not the information at hand. I agree that there isn’t much to like about channels like these, but still the word gets out at least a little bit more. I don’t see that channel has any recommended channels nor does it point to any fake sites. 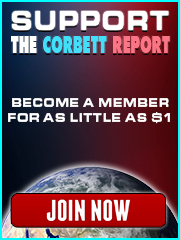 Hey there, I am a subscriber to the real James Corbett Report. I am also a fan of Michael Best work on Promis. I read her/him, noticing the important connections between Promis and some theories about the FBI eviscerating the real DOJ so that no longer functions for justice. I don’t recognize that other site linked – https://www.youtube.com/channel/UC11bONg-rqNpAsjUfYJ8bHA/featured – but I can guess someone calling himself “a grapefruit” has some tales. There important stories about FBI undercover informants penetrating the Bundy group. Episode 209 – Requiem for the Suicided: Danny Casolaro is a really good pod cast. I am looking forward to Part 2. A lot of dots are correlated here. Excellent work! You can call me a conspiracy theorist, but I prefer conspirophile, like an audiophile, bibliophile, or videophile. Thanks James. I really value this series (if you will) of videos documenting and paying homage to those who took what ended up being more than life “threatening” action for the purpose of exposing the underbelly of the beast. I particularly appreciate what I can only come up with for a description for as the lack of sensationalism in the tone of the presentation of what are ultimately tragic loses in these untimely deaths. On a separate note, I’m wondering if it’s just me, but I was mildly struck by the concept that there was enough relatively honest and straightforward archival mainstream media material to useable for this presentation to the extent that it seemed to reflect a time where there still seemed to be a place within the spectrum of mainstream media where “real” journalism was actually taking place. Even if one of the more comprehensive overviews was on Unsolved Mysteries, this was still a mainstream program. The fact that a great deal of material from the seemingly “regular” news programing elsewhere was useful without a barrage of morbidly laughable assertions (such as the mention of Bin Laden’s role in the scandal) laced in the mix was in such stark contrast to the depressing state of affairs across the mainstream and even niche programing landscape as it currently exists. I know there was already a gradual slip taking place towards what exists today where the only modulation between half truths and outright lies takes place strictly on a level of partisan gamesmanship or psychological operation basis, such as the Snowden “revelations”, but I’d probably have to point 9/11 as being a really decisive moment in the shift between a level of quasi 4th estate element to the media to simply a virtual mouthpiece “for the state” (department etc). Even on the day of 9/11, there were instances of unscripted coverage where not all sectors of the media were on the same page yet where they knew specifically what to say and air and what not to. The comment by one news anchor (I forget which one) referring to the obvious fact that the collapse of the tour(s) was reminiscent of a controlled demolition comes to mind. Interesting points you make about the media and its evolutionary path to what is now insanely absurd with the 9/11 event being a milestone. The 9/11 event really is a milestone on so many facets. One facet: It is a line in the sand on the “red pill” or “blue pill”. Dane Wigington on Chemtrails, media and 9/11. One of the big factors was Clinton passing the Telecommunication Act that allowed for the consolidation of power if you will within the telecommunication community. As we know, since Operation Mockingbird in the 50s (and really going back to was it the 1890s when the powers that shouldn’t be realized they needed control of like 26 daily newspaper to control what people thought), the intelligence agencies have been infiltrating the media. It was harder to do when there was more of them. Now, of course 6 companies control 90% of the media … so its not as hard to control. Add that to Reagan eliminating the fairness doctrine (which Garrison was able to use to get equal time on TV to respond to Walter Sheridan’s White Paper smear on NBC), and they have total control of MSM and can say almost whatever they want. seem to follow the same format as the mass murder of 9/11. what will happen to the excessively curious. nosoapradio, That metaphor nails things. It is a lawless land. In a lawless land, what are the outlaws? Hey! Thanks for asking HomeRemedy! Hmmmmmmm….well…. Laws exist only for those who don’t manage to buy, bend or skirt them. They are written down and appear to be enforced in order to maintain “the peace” among the masses and the illusion of civilisation for those who are too weak-hearted or pragmatic to see the kakistocracy. So What are outlaws in a lawless society? A figment of the politically correct collective imagination of the Disney-deluded masses? Make way for the creature that is euphemistically known as the “post-human”…? I prefer the term synthetic wisdom to artificial intelligence. Synthetic is still real, despite being synthesized. The CIA collects intelligence but is stupid. Wisdom is knowing what to do with intelligence. Obviously the singularity will be built and owned by corporate interests, with the most wealth and technology unless someone can build a decentralized blockchain metaphor A.I. stack to challenge “them” despite their access and infiltration. The corporatocracy will build an A.P. – an artificial psychopath globalist hive mind singularity determined to earn quarterly profits by any means. The wisdom to know better includes compassion, logic, pragmatic planning, and a sustainable future. Maybe the singularity can fake it until it feels it. One way or another, we are all doomed. Life is a sexually transmitted disease that no one survives. Laws are to “maintain the peace” as your property, liberty, and life are taken from you under the debt-slave feudal kak-corporatocracy. To “serve & protect” elite interests. Ignorance is bliss. Defense department wages war. Peace prize before perpetuating WWIII on terror, drugs, and whistleblowers. Socialism for the rich, capitalism for the poor. The lawless state of manufactured confusion. Thanks for the lift guys. Nice music. backdoor software also had me thinking of PTech … its pretty standard now, right? The intelligence agencies have backdoors into most software and websites. Awesome episode and can & want you investigate the suspicious death of Michael C. Ruppert? In 2004 I saw “The Corporation” documentary that cracked opened my curiosity. In 2004 or 2005 Michael Ruppert was the first truther to intelligently lay out 9-11 with evidence, logic, and clarity. I was sad to see Ruppert go a little wacky at the end. While there’s nothing wrong with getting back to roots, being a hippie (I’m kinda one), or “finding” religion – after “Collapse” I heard nothing but sad stories and weirdness from Ruppert. After his suicide I looked at everything about it, good and bad, with a skeptical mind. I’m not an investigator, but to me, it seems like a legit suicide. I’m sad he’s gone but I’m glad he’s not suffering. In a perverse way I wish he’d been working on something worth killing him for that we’d eventually find out. If he’s been killed for something we won’t find out then that is just too tragic. I attempted suicide a few times when I placed all my faith in the doctors experimenting with my mind giving me toxic big pharma prescriptions. I had no intentions before so at those time I was uneducated. I’ve researched it since, and if there is a next time, it will be final. If they really want to torture people in Guantanamo Bay they should give them “anti-depressants”. I know what utter torture depression is, so inescapably painful that you’d rather die. I have profound sympathy for Michael C. Ruppert, may he rest in peace. If there really is more to this I’m all ears. Coincidence the date of release and the date of re-post !!!! When I try to open the link of “KESQ reports on PROMIS”, I get the message that the vid is private. These are 3 links of KESQ reports on PROMIS. Part 31: Secret Government Program Linked To Local Murders? Part 30: 1981 Triple Murder Tied To McGowan Murders-Suicide?